Kim & Team Knapp handled the listing and sale of my Fleming Island home with professionalism and expertise. They were quick to answer questions and deal with issues encountered. Beth C.
This could start talking about the me or the team, but what really matters is you. So much information, the websites conflict, is this listing available or not. Will someone call me back? You want answers, service, someone that is really working for you, no games, a real professional - bottom line. If you are still reading you came to the right page. Since 2002 Kim Knapp has consistently been a Top 10 Realtor in Jacksonville Florida! She is also is the founder of Team Knapp & a National real estate agent training website, RealDynamicAgents as well as Real Giving Project, which "connects people with their passions" by combining real estate transactions with social responsibility in order to support local charities, schools and faith based organizations. Where does that success come from? Understanding the ageless concept of customer service (not completely forgotten), check out the customer reviews to see the results. Finding that more than 75% of their business is from past customers, is no accident. Team Knapp is made up of some of Northeast Florida's finest Realtors, that are customer focused and their goal is to be Your life long real estate agent. Need help with HAP, REO's, Short Sales. It's all here on this site! We've even got the info for local vendors here too, whether you need a haircut or a plumber, look no further because I've Gotta a Guy (or Gal) for that! Exclusive inside information on Waterfront property including unlisted Waterfront. 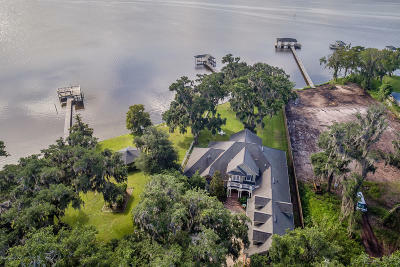 You will find listings for Jacksonville, the Beaches, Orange Park, St Johns County, Middleburg, Green Cove Springs and of course, Fleming Island. Information for homebuyers and sellers, and more About Kim and the Team, your professional Jacksonville & Fleming Island Realtors. Looking for a new home? Use Quick Search or Map Search to browse an up-to-date database list of all available properties in the area. Call us today at 904.334.7425 and let's get you moving! Get the "Dish" on Northeast Florida Real Estate!